The tropical cyclone rampaging south-eastern Africa has been described as one of the worst disasters ever to strike the southern hemisphere, with up to 2.6m people potentially affected in Mozambique, Malawi and Zimbabwe. The death toll may not be known for months, but it is already likely to have run to hundreds and possibly thousands of people. The brunt of the disaster has been borne by the coastal city of Beira in central Mozambique, 90% of which has been reportedly destroyed. Knowing this is a luxury that we must not squander. The IPCC estimates we have 12 years to prevent the Earth’s climate from crossing the 1.5℃ warming threshold, beyond which the effects are likely to become significantly worse. We should be spending this time both trying to minimise the increase in global temperatures and making people more prepared for similar events in future. The West has a duty to shoulder most of the burden here, for reasons we’ll explain in a moment. To do so, it needs to rethink its entire approach to international development. It is not only the intensity of environmental disasters that makes them devastating – poverty also has a huge bearing on how things play out. Houses in poorer areas will often be less stable, storm barriers may be weaker, sanitation is often a problem, emergency services will be poorly resourced – and preventing disease outbreaks may be hindered by the poor state of public health services. The list of disadvantages goes on and on. The earthquakes that struck Haiti and Japan in 2010 and 2016 respectively are another example. Both were of similar magnitude, but between 100,000 and 316,000 died in Haiti while in Japan it was just 42. One reason the Haitian disaster was so much worse was the many thousands of unstable shanty houses in Port-au-Prince. Part of that responsibility lies in changing the current approach to disaster aid. In major donor countries such as the US and UK, the guiding modus operandi of disaster relief has been reactive as opposed to proactive measures. The UK spent £1.2bn in 2018/19 on emergency responses such as humanitarian interventions, while disaster prevention and preparedness has received a mere £76m. 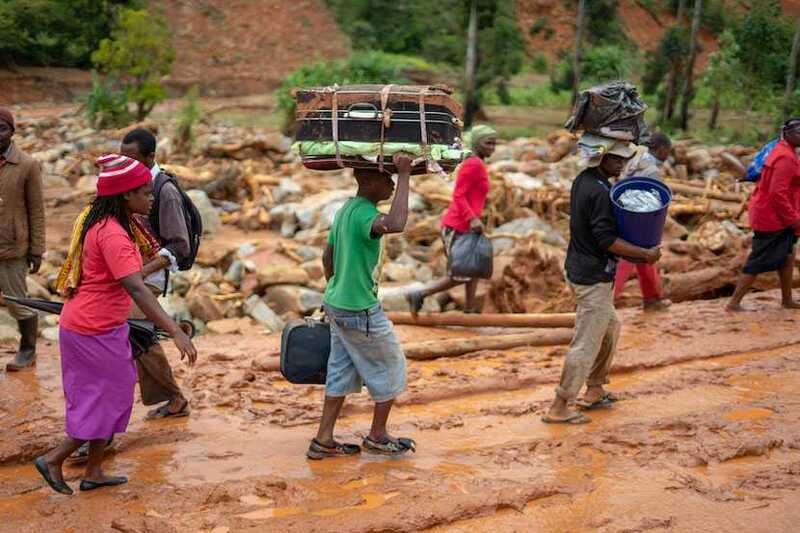 In the case of Cyclone Idai, the Department for International Development has now earmarked £18m to assist humanitarian relief efforts in Mozambique and Malawi – tripling the original pledge from a couple of days earlier. To be clear, humanitarian responses are absolutely key, but insufficient on their own. They bandage wounds rather than fix what caused them. Instead, donor countries need to prioritise identifying the most vulnerable people both before and after a disaster, and ensure they receive the required support and are granted the agency to be actively involved in the process. Fortunately this is not just blue skies thinking on our parts. The House of Commons International Development Committee is currently reviewing the aid budget and considering an approach built around climate justice. This emerging discipline is gaining traction and credibility around the world and will be the subject of a World Forum taking place in Glasgow in June. Ahead of that, Tahseen Jafry – one of the co-authors of this article – will be making a keynote presentation in New York in April.